A rose noir cake is one that has a tempting mix of dark chocolate, cacao butter, praline paste & almond dacquoise with chocolate glaze. 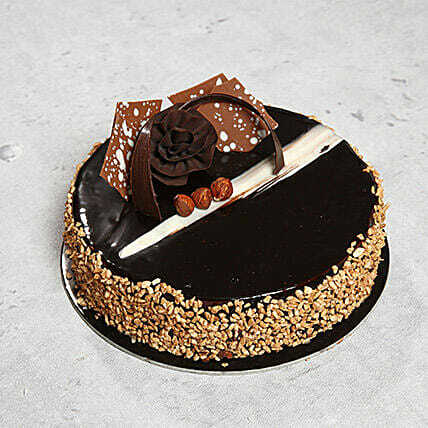 We have brought to you this dazzling cake that would make your fun moments a memorable one. As a gift you can get it for your close friends and relatives on their special days. "Thanks for service.I appreciate the trusted work." "The cakes delivered in Dubai is of excellent quality and is widely appreciated. Perfect on time delivery!!" "I m happy this time. The cake was delivered on time and as per wat I ordered... Thank you." "Service was good.. Product deliverd on time.. Cake was awesome"